Pick up and drop facilities from Bagdogra Airport / Siliguri / NJP Railway Station, Daily breakfast in hotel,3 star hotel accommodation, All transfers, i.e. Bagdogra Airport / Siliguri / NJP Railway Station to Kakarvitta-Nepal Border to Bhadrapur Airport / Biratnagar Airport and Kathmandu Airport to hotel to Pokhara Bus Stand drop and Pokhara Bus Park to hotel to Pokhara Bus park drop and Kakarvitta to Bagdogra Airport / Siliguri / NJP Railway Station drop by private reserved vehicle, One way Air tickets, i.e. 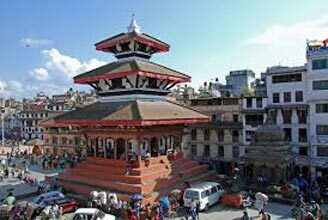 Bhadrapur / Biratnagar to Kathmandu, Sightseeing in Kathmandu and Pokhara by private reserved vehicle, and Sharing Bus service - 2 by 2 push back seats for Kathmandu to Pokhara to Kakarvitta back. Pick up from Bagdogra Airport / Siliguri / NJP Railway Station by private reserved vehicle and departure to Kakarvitta - Nepal Border and departure to Bhadrapur Airport / Biratnagar airport by private reserved vehicle and fly to Kathmandu and arrival in Kathmandu Airport and from there, pick up and drop to hotel by private reserved vehicle and overnight at hotel. 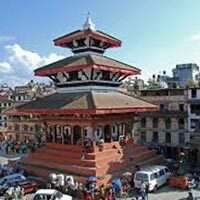 Kathmandu sightseeing by private reserved vehicle and overnight at hotel. Sightseeing points - 1) Pashupatinath Temple, 2) Baudha Buddist Stupa, 3) Budhanilakantha, 4) Kathmandu Darbar Square, and 5) Kumari Temple. Departure to Pokhara by bus on sharing in the morning after breakfast and arrival in Pokhara in the afternoon and pick up from Pokhara Bus Park and drop to hotel and overnight at hotel. Pokhara sightseeing by private reserved vehicle and overnight at hotel. Sightseeing points - 1) Bindabasini Temple, 2) Seti River George, 3) Davis Fall, 4) Gupteshor Mahadev Cave, and 5) Fewa Lake. After breakfast, in the afternoon, back to Kakarvitta - Nepal Border by sharing bus and overnight in bus. Arrival in Kakarvitta - Nepal Border in the morning and drop to Bagdogra Airport / Siliguri / NJP Railway Station by private reserved vehicle and tour ends. 1) - Child below 5 years free, 5 to 8 years will get 50% discount, 9 to 12 years will get 25% discount and above 13 years full charge as other adults only in package not in air fare, deducting Air fare from the package rate given above at the time of flight booking. 2) - Below 2 years child no need to pay air fare and child aged 2 to 12 years will have to pay same Air Fare as other adults at the time of booking.